The Cadillac CTS sedan outscored its competition Audi A6 3.0T, Acura RL, Mercedes-Benz E350 and Lincoln MKS Ecoboost in a Consumer Reports competition of luxury sedans over $50,000. However, only the Acura RL is recommended due to the CTS's reliability issues. Here's what CR had to say about the Acura RL. The Acura RL is a pleasant and refined car, but the driving experience isn't special enough to justify its $50,000 price tag. The car is full of electronic conveniences, but the ride and backseat are not as comfortable as those found in competing vehicles. Handling is sound, but less sporty than most of its competitors. 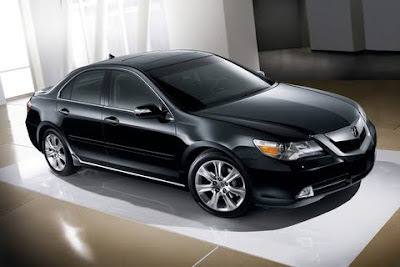 The Acura RL AWD ($50,660 MSRP as tested), is powered by a 300-hp, 3.7-liter V6 engine that is smooth and slick and delivers 19 mpg overall on premium gasoline. The five-speed automatic transmission is very smooth and responsive. Braking is very good. The RL's high-quality interior has impeccable fit and finish. For a car in this class, the RL's trunk is modest. See here for full story. The RL is a better vehicle than its sales would suggest. It is reliable and more of a value than its competitors, 300hp is adequate & it has all the luxury items a car in this class should have. The MPG could be better ... hopefully when Acura starts passing around the 6 speed.